This summer, Shivers Film Society and UBC Film Society present Vancouver’s first-ever TROMAFEST! 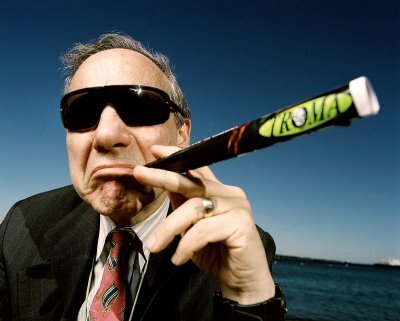 Yes, that’s right, the first-ever Troma & master indie filmmaker Lloyd Kaufman retrospective, to be held at the Norm Theatre at UBC. All day Troma films, from The Toxic Avenger to the classic Tromeo & Juliet to the musical Tromasterpiece Poultrygeist, PLUS, Lloyd Kaufman will be conducting a very special 90-minute Master Class Seminar on-site! Tromerchandise will be available throughout the day, come and hang out with us and the ever-entertaining and energetic (and brilliant) Mr. Kaufman, co-founder and president of Troma, the longest-running independent movie studio in the world! 5:00 pm… LLOYD KAUFMAN’S “MAKE YOUR OWN DAMN MOVIE” MASTER CLASS SEMINAR! From Production and Financing to Marketing and Distribution Presented live by Lloyd Kaufman himself, this informative ninety-minute course will cover everything an up-and-coming artist must know to get their dream projects off the ground. Students will learn how to: Get started on their first film project — Find financing — Understand what’s involved in pre-production — Choose a crew and production group — Survive both large and small crises. By the end of the course, students will leave with dozens of creative and practical tips that are invaluable to aspiring filmmakers and get a real inside look at how it’s all done. Introduction by Vince D’Amato from Shivers Film Society. Shivers Film Society is partnering with Scalarama in the UK (sponsored by the BFI) to bring a little John Waters love to the big screen. This September, the BFI and Scalarama are launching a huge John Waters 50th filmmaking anniversary retrospective. Yes, the mad genius has been making films for fifty years now! As part of this celebration, the Shivers Film Society will be presenting a Scalarama screening of John Water’s Cecil B. Demented double-billed with Troma’s Terror Firmer (directed by Lloyd Kaufman) in a night celebrating anarchy in filmmaking! Sunday, September 13th, 7:00 pm at the Norm Theatre (UBC).